Guam elects first female Governor - Lou Leon Guerrero - KUAM.com-KUAM News: On Air. Online. On Demand. 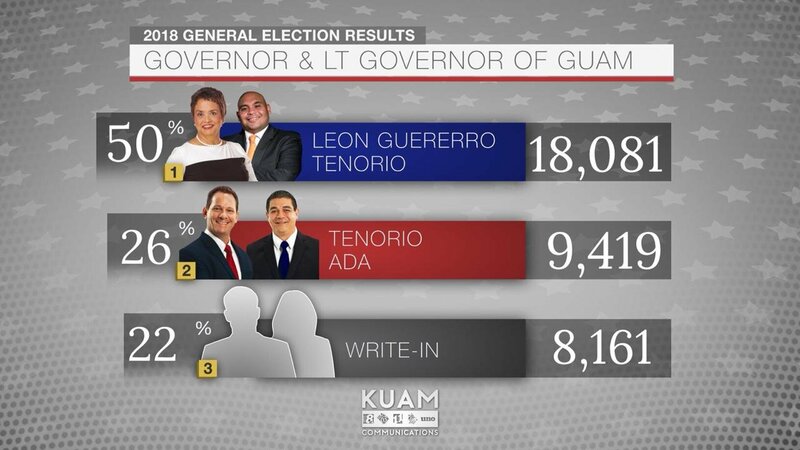 After a long election night with the GEC counting votes from 67 precincts, the people of Guam elect the team of Lou Leon Guerrero and Josh Tenorio as the next Governor and Lieutenant Governor of Guam. Pending approval, Leon Guerrero will be the first female Governor to serve in Adelup. The total tally puts the Leon Guerrero-Tenorio team at 18,081 votes, a 50.70%, which meets the 50% plus 1 vote threshold needed to secure a win. The Republican team of Ray Tenorio and Tony Ada fell short behind the democratic team, receiving 9,419 votes. With the Write-In votes tagging close behind at 8,161 votes. 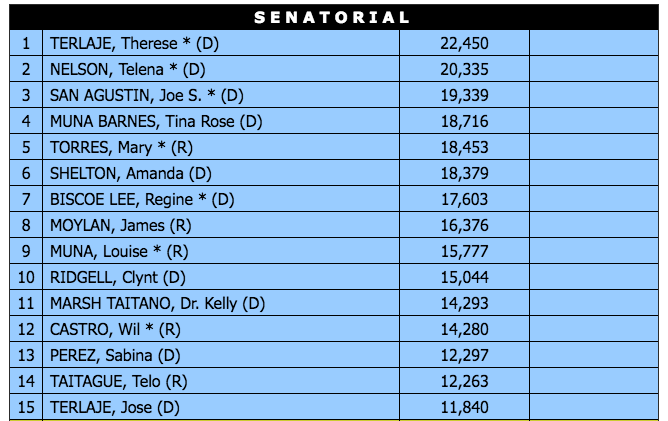 Though no word yet if those votes went to write-in candidates Senator Frank Aguon Jr. and Alicia Limtiaco. 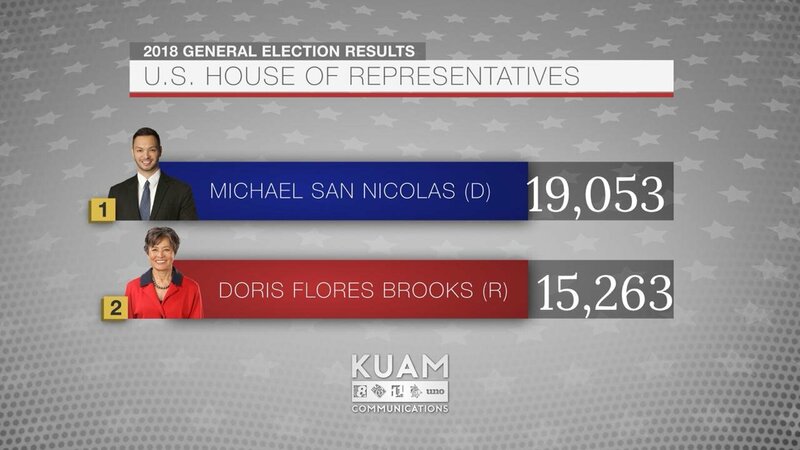 Senator Michael San Nicolas stayed on top throughout the entire night over Doris Flores Brooks in the congressional race. San Nicolas had a total of 19,053 votes while Brooks had 15,263. 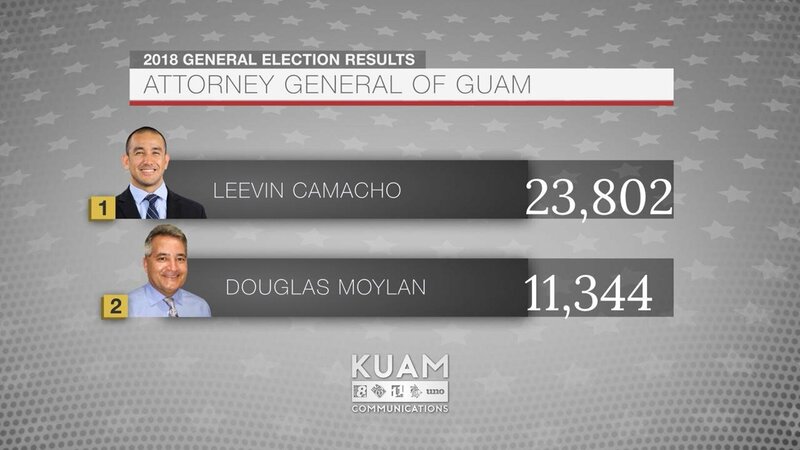 In the Attorney General race, it was Leevin Camacho who ended the night with a landslide of a win over Douglas Moylan. Camacho had the most votes in the entire election - 23,802 votes.